Volcano Vaporizer in stock now! 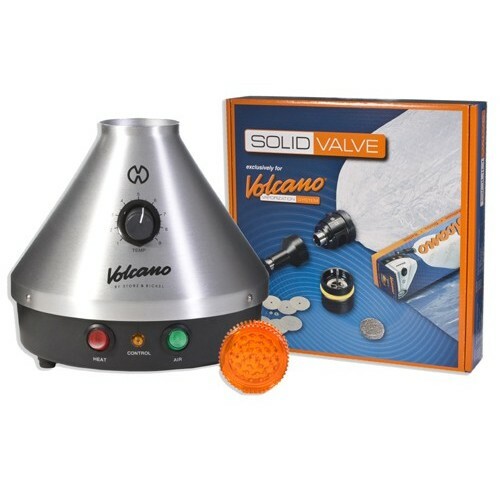 The Classic Volcano Vaporizer with Solid Valve Set considered the latest progression in the field of vaporizer science. A Classic Volcano Vaporizer with Solid Valve Set allows you to have complete liberty while enjoying your blend . The vent-balloon delivery device allows the Classic Volcano Vaporizer with Solid Valve Set to stand apart from all vaporizers on the market. Classic Volcano Vaporizer with Solid Valve Set reviews show that the Classic Volcano Vaporizer with Solid Valve Set scored the highest in ease of use; making it possible for Classic Volcano Vaporizer with Solid Valve Set vent-balloon to be filled with minimal effort by a Classic Volcano Vaporizer with Solid Valve Set user. The Classic Volcano Vaporizer with Solid Valve Set fills the vent-balloon up with enough vapor to provide several vaporizer hits from one fill. The Classic Volcano Vaporizer with Solid Valve Set vent-balloon also allows for vapor storage up to 8 hours. 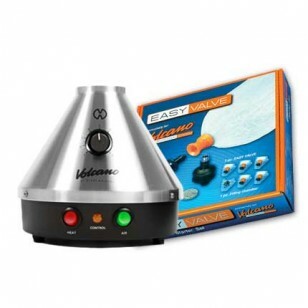 The Classic Volcano Vaporizer with Solid Valve Set user is allowed the comfort of watching while the vapor visibly builds in the Classic Volcano Vaporizer with Solid Valve Set vent-balloon. Once the Classic Volcano Vaporizer with Solid Valve Set vent-balloon is filled, the user can simply remove the bag and snap on an attachment and enjoy the Classic Volcano Vaporizer with Solid Valve Set results. Hand crafted in Germany the Classic Volcano Vaporizer with Solid Valve Set is a medical grade vaporizer device. Numerous studies done prove the Classic Volcano Vaporizer with Solid Valve Set provides the durability today's vaporizer public needs. The Classic Volcano Vaporizer with Solid Valve Set increases the amount of active ingredients the user receives from the blend about 75% more then traditional smoking. The smokeless approach the Classic Volcano Vaporizer with Solid Valve Set chose to use is excellent. Tars and carcinogens are virtually eliminated when using the Classic Volcano Vaporizer with Solid Valve Set as opposed to smoking. Our Classic Volcano Vaporizer with Solid Valve Set is shipped with all essential items needed to work correctly, including the 110 volt plug used in America. 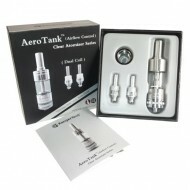 Replacement parts are available for the Classic Volcano Vaporizer with Solid Valve Set here as well. The Classic Volcano is in stock at Doc's Smokeshop in Baltimore, Md. Description Replacement Ceramic heating element for the new microG Vaporizer™ Designed specifi.. 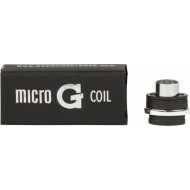 Description Replacement ceramic heating element for the Original microG™, Action Bronson mic..
Micro G Original Coil. Ceramic. 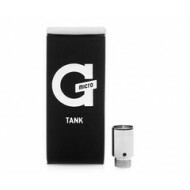 Description Introducing the highly-anticipated G Pen Herbal™, the first G Pen specifically engine..
Kanger aerotank clearomizer “WARNING: This product contains nicotine. Nicotine is an addictive chem..